two of the most popular paid tools can no longer be sold. Rockstar Games achieved a major victory in its prolonged battle against cheating in Grand Theft Auto Online recently, with Take-Two taking the creators of the most popular paid hacking menus to court. Now, two of the most popular paid tools can no longer be sold. David Zipperer, distributor and co-creator of the Menyoo and Absolute hacking menus is now bound by an injunction preventing him from continuing the distribution of his software under pain of criminal charges should he continue. Menyoo particularly has long stood as one of the most commonly used hacking menus. One of the hacking services shut down last year. Take-Two supported the motion for an injunction as Zipperer's unemployed status meant there was a high risk that he wouldn't be able to pay damages. When Take-Two filed their lawsuit back in March, they stated that Rockstar Games has lost at least $500,000 in revenue due to cheats in GTA Online, alongside damage to its reputation and the loss of customers. An unfair competition claim against Zipperer, however, was dismissed. The injunction was first reported by Reuters, and in the report it is stated that the judge presiding over the case had expected the Take-Two legal team to prove that Zipperer infringed on the GTA copyright - which they did. U.S. District Judge Louis Stanton also supported the injunction on the grounds that it would serve public interest. While preventing the sale of Menyoo and Absolute is hardly the end of this war on hacking and cheating, considering how many other menus are out there, this is a landmark development as it sets legal precedent. 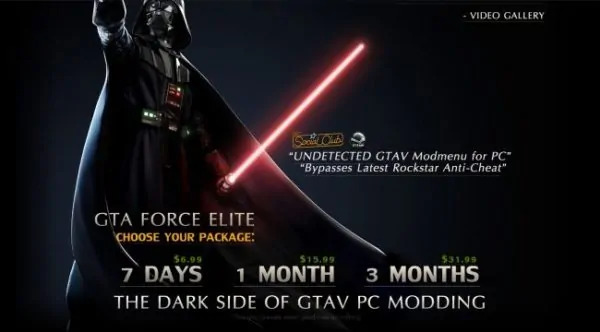 Take-Two has succeeded in pressuring multiple hacking sites to discontinue operationlast year, but with this case they have more legal ammunition to fire at the developers and distributors of these menus. 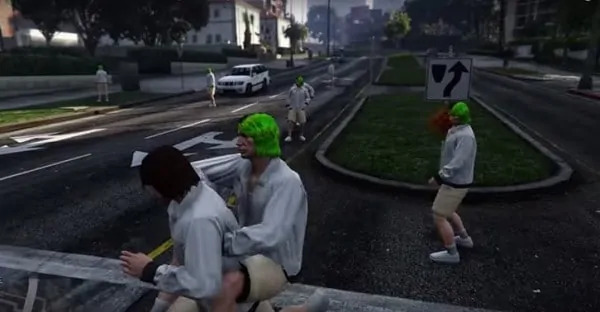 GTA Online has been plagued by hacking and cheating ever since it was released due to how unsecure the Xbox 360 and PlayStation 3 consoles were. Through character transfers, the current-gen consoles were also affected in spite of being uncracked to this day, however since transfers were suspended the Xbox One and PlayStation 4 are mostly cheat-free. On PC, however, it remains impossible to effectively prevent hacking due to the peer-to-peer server architecture.